Written by David McPeak on April 11, 2019 . My son once told me, “Daddy, I’m an excellent listener. You’re a bad talker.” I won’t get into the details of what started that conversation, but I will say this, he was right. He did exactly what I told him to do, which was nowhere near what I wanted him to do. I didn’t communicate effectively. Pause for a moment and think about how often undesired results happen because someone didn’t understand our expectations. Think about these questions, too: Have you ever agreed with someone just so they would shut up? Have you ever sent a text message to avoid a verbal conversation? Are you guilty of inundation communication, ambush communication, vague-garbage communication or CYA communication? Whoa! It’s not my fault. I sent an email and I have a read receipt. Speaking of email, your account provides a tremendous amount of insight into communication. When you are the receiver, you have filters that automatically send certain messages into your junk folder because you don’t care about them and don’t have time for them. You manually delete certain messages without reading them simply because you get so many from that sender. When you are the sender, you set levels of importance and decide whether you want read receipts. I can almost guarantee that you have sent an email to the wrong person, and you also have sent an incorrect message because of autocorrect. You probably have a favorites folder for certain people that makes messages important before they are created and sent. Your signature line might include specific instructions and insight into safety that take the form of “Stay safe” or “Take care of each other.” These aren’t bad messages; there just needs to be more. While I think most people have accepted that there is no silver bullet to improve performance, I will offer this as the single-most impactful thing individuals and organizations can do: Improve your communication. It doesn’t matter whether we are talking about leadership, safety, relationships, production, training, rework, conflict or change, improving your communication skills will help to improve your performance. A friend showing up over an hour late for dinner in Orlando because he got in the wrong Uber that was headed to Tampa. A three-man crew spending two days cleaning out the wrong underground vault. An 8-year-old basketball star scoring the winning basket – at the wrong end of the court. A 23-year-old apprentice having to undergo a toe amputation because he misunderstood what “in the clear” meant. A contractor paving the wrong road. While ineffective communication can sometimes be humorous, it also can be costly and tragic. How many lives have been lost because we didn’t understand what was grounded, what phase we were on or what was de-energized? How many vehicle collisions were caused because we didn’t use our turn signal or the brake lights didn’t work? How many jobs have been lost because of personality conflicts? Effective communication results in mutual understanding. It’s easy to tell someone something. It’s entirely different to communicate with someone. Effective communication can only occur when every component of the communication process works in synergy and the sender and receiver complete their required tasks and avoid pitfalls. Senders must intentionally choose and send the correct message through the proper medium while identifying and overcoming obstacles and filters. In-person communication typically is the proper medium, especially for complex messages, as less than 10 percent of communication is verbal. Obstacles might include noisy environments, distractions and language barriers. Filters include the experiences of senders and receivers, culture, personalities and mindset. Receivers must choose and send the correct feedback using the proper medium while identifying and overcoming obstacles. The original sender then becomes a receiver and the process continues until mutual understanding is achieved. Suffice it to say, communication is important. We tend to get our desired outcomes when we communicate effectively. Communication also is difficult. From time pressure and fear of hurting feelings to language barriers, there is a lot that can go wrong. The good news is that communication is a skill that can be learned and improved. Start with the fact that you have two ears and one mouth. Use them in that proportion by actively listening twice as much as you talk. You also must value feedback – both giving and receiving it. Improve your communication skills and you will improve your performance in almost every aspect of your personal and professional lives. About the Author: David McPeak, CUSP, CET, CHST, CSP, CSSM, is the director of professional development for Utility Business Media’s Incident Prevention Institute (www.ip-institute.com). His experience includes operations management, safety and training roles. McPeak holds multiple safety and training certifications and has received numerous awards. He also has served as chairman of Task Team One of the OSHA ET&D Partnership, as a member of Incident Prevention’s editorial advisory board and as a member of the North Carolina Apprenticeship Council. Reach him at [email protected]. 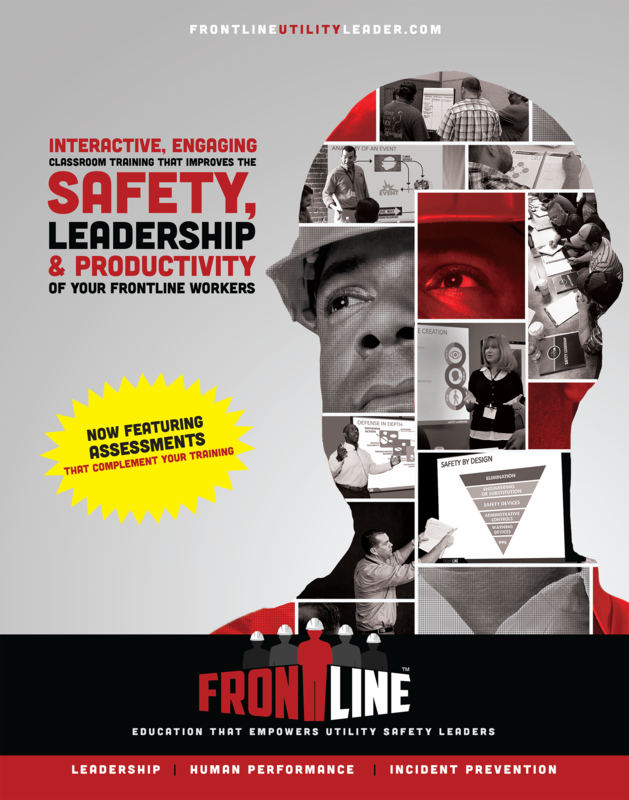 About Frontline: The Frontline program provides interactive, engaging classroom training that empowers employees to become better utility safety leaders. Subject matter experts facilitate the learning process and cover four areas – safety leadership, incident prevention, human performance, and standards and operations – critical to safety success. Visit www.frontlineutilityleader.com for more information. Visit www.frontlineutilityleader.com for more information. © 2019 Utility Business Media, Inc.™ All Rights Reserved.